Haarlem is very easy to reach by air, rail, water and road. If you intend to care about the environment or your carbon footrpint, travelling by train is the preferred way to come to Haarlem. Basically you have to go to Amsterdam first. More exactly, the stations name is Amsterdam Centraal. There are plenty of international high-speed connections that will bring you to the Dutch capital. with Eurostar, you can book connections from basically every station in the UK via London (St. Pancras) to Brussels "Midi" station. There, change to either the Thalys or IC service to Amsterdam. take the so called "Beneluxtrain", an intercity service that runs every hour from Brussels via Antwerpen to Amsterdam Centraal Station. There is also the Thalys high-speed service from Paris that serves Brussels and Antwerpen before reaching Amsterdam on multiple times a day. there are primarily two trains. The first one is the IC train from Berlin that goes to Amsterdam Centraal about every 2 hours. The second is the ICE high-speed train from Cologne to Amsterdam which also runs every 2 hours during daytime service. there are both IC and regional trains almost every 10 minutes from Amsterdam Centraal. They will take you to Haarlem in about 16 minutes. At Haarlem station there is public transport available for you to reach your final destination. Please refer to our accommodation page (see "hostel to event site") regarding public transport directions within Haarlem for the event site or the Youth Hostel. Please understand that we cannot list the public transport connections for all hotels or B&Bs here, hence we suggest you to refer to the website of your accommodation venue or contact them by email, phone or fax prior to starting your trip. If you happen to have an Android smartphone, there is the famous "Öffi" App which lists public transport stations and connections for almost all continental Europe and its major cities. It will also list you the track numbers you will need to take e.g. at both Haarlem and Amsterdam stations. "Öffi" is available for free in the Android Market and runs with OS versions 1.5 to 3.0. Note however that it requires internet connectivity! If you're an iPhone user you will most certainly know where you need to go for an according app for your phone... and no, we did not check for phones running Symbian, Bada, BlackBerry or anything else - sorry. Basically it is sufficient to head to Amsterdam until you are as close as about 15 kilometers before you have to worry about changing motorways. Haarlem is located east of Amsterdam at the junction of A9 and A200 motorways and traffic signs will indicate the direction. It takes you a little more than 1 hour to go to Haarlem from the port by car. You will be arriving on the A4 / E19 and will change onto the A5 at Hoofddorp/Haarlemmermeer in direction of Haarlem and Zandvoort. You will pass the airport and arrive at another junction where you change onto the A9 still in direction of Haarlem/Zandvoort. Then take the next exit to Haarlem. It is almost the same itinerary as above, except that it's best to drive in direction of Delft or Den Haag (The Hague) first until you reach the A4 / E19 motorway. Once on the A4 / E19 simply follow directions to Amsterdam and as described above for Hook of Holland. Getting to Warpstock Europe by airplane will require you to also travel to Amsterdam first. The Dutch capitals' Airport is called "Schiphol" (IATA airport code "AMS") and it offers a wealth of international connections. These busses leave in front of the Schiphol Airport. Take bus line number 300 in the direction of Haarlem. You get off at the last stop which is Haarlem train station. From there, municipal public transport is available and will bring you to your final destination. For going to the Youth Hostel or the event site please refer to directions stated on the accomodation page (under "hostel to event site"). For your hotel or B&B check their according web page or ask them via email, phone or fax before starting your travel. 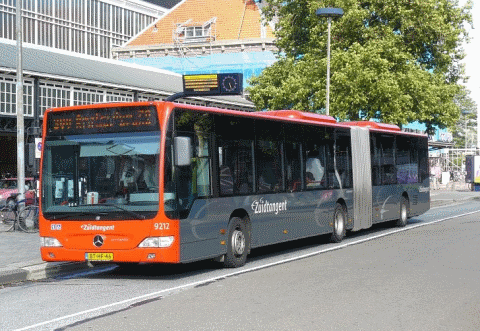 Please understand that we can not list public transport connections for Haarlem hotels or B&Bs here. If you still have a so-called "strippenkaart" (multi-ride stripe ticket) from possible previous visits to the Netherlands then note that these are no longer valid! You will have to buy a so-called "OV Chipkaart". There are different types of cards of which you should select the so-called "anonymous" card. This is available from ticket machines, points-of-sale or even local shops like tobacconists. Topping up your credit is also done at ticket machines. If you are going to visit Amsterdam, you can buy a cheaper version (which however is only valid in Amsterdam) when you arrive at Amsterdam Central station from the ticket desk of "GVB" in the subway station. If you want to buy a train ticket please be aware that most Dutch train ticket machines are pre-historic and only accept proprietary Dutch debit cards but no bank notes. So take a whole load of Euro coins with you. Only big stations still have ticket counters and you pay a 50 cent handling fee per ticket when you buy them from the desk. If you are coming by train then you should have booked a valid ticket for up to Haarlem station. If you are travelling by airplane there might be options to get connecting tickets a la "fly and ride" or perhaps tourist special offers. Please check with your airline or travel agency accordingly.